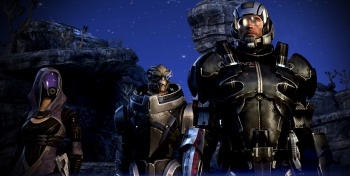 Take the "Which Mass Effect Species Are You? Part 2!" Quiz! Find out which of these other Mass Effect species has the most in common with you! One thing we learned last week when putting together the "Which Mass Effect Species Are You?" quiz, is that the Mass Effect universe has just too many interesting alien species to fit in just one quiz. So we've put together another personality quiz for ya, covering all the other Mass Effect species that we had to leave out the first time. Are you ruthless but misunderstood like the Batarians? Or maybe just slow and steady, like the Elcor? Take the quiz and find out!